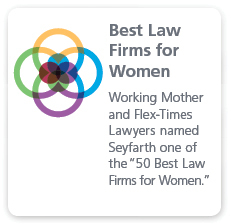 Seyfarth offers a cross-disciplinary team of attorneys that is on the forefront of Internet law, helping clients across the globe make sense of the emerging legal principles governing conduct and commerce in cyberspace. 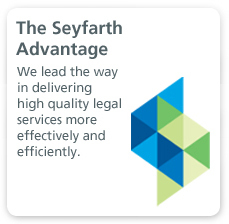 Our attorneys are committed to being as forward-thinking as the clients they serve. 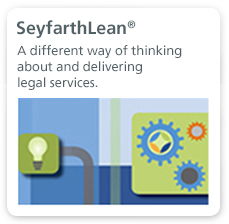 They understand that this seemingly boundless medium raises issues that touch every aspect of intellectual property law, and they have extensive experience helping businesses of all types establish and manage their presence in the virtual marketplace. Relying on our deep experience in the Internet arena, we help clients devise and implement Internet and extranet business strategies and negotiate and structure Internet-related transactions. We regularly draft terms and conditions for Internet websites in order to better implement and protect our client’s specific business purposes, protect intellectual property and prophylactically address potential issues that might arise. Members of our team are experienced in resolving domain name disputes, either by bringing traditional trademark claims in the courts, or through the administrative procedures provided under the Uniform Domain Name Dispute Resolution Policy (UDRP) and its corollary policies.